Wow another gorgeous card, I love the image, colours you have chosen and just everything about it. Perfection. She is just the sweetest little thing. great card. Hi Sasssy this is such an adorable, girly card - I love it. Clever use of the card too. 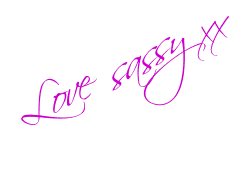 Hi Sassy love this sweet image, lush papers & those embellies are a knock out. This card is beautiful.. such lovely colours/ papers. Wow!! Sassy this is adorable. I love this image she's really gorgeous and so beautifully coloured. I forgot to say in my email that the card you put in my candy box was gorgeous. Had the box in at work today and took it to lunch to show my two crafting buddies, they were also amazed at the contents. Hope your sister is feeling a lot better and on the mend. 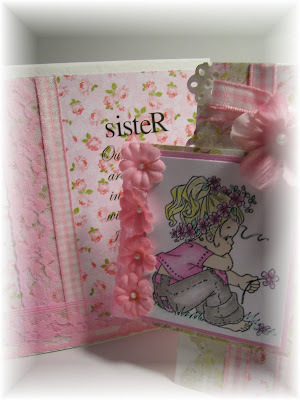 What a beautiful card Sue,love that Daisy stamp.Hope your day went ok.